Do you have a kiddo that loves dinosaurs? On our recent trip to Honduras, we visited some dinosaur sculptures that the kids LOVED. With Jurassic World: Fallen Kingdom hitting the big screen on June 22nd, it’s the perfect time to shop for gifts for kids that loves dinosaurs! Here are a few ideas for you! I know, I know. Soap? Yes! Kids will LOVE setting dinos free from these diy dinosaur soap bars, and as a bonus you get a fresh faced kiddo. SCORE! This colorful prehistoric beast from Wild Republic comes with a rainbow-chrome glitter print that gives it a holographic look. Slightly overstuffed for a firm and realistic pose. This glitter T-Rex is a true showpiece! For the younger kiddo that loves dinosaurs, the Wild Watchers Triceratops has large eyes that seem to follow you! And they are cute, too! This fun Magormers Dino Tego set includes has 20 Pieces of Magnetic Building Blocks that come together to form a super cool stegosaurus. Dolce Plush Dinosaur is perfect for stimulating your child’s tactile and auditory senses. This cute Dino character has its own Dolce teether, bright contrasting colors in unique fabrics, brightly-colored ribbons, crinkle feet and a dragonfly friend. Designed specifically with newborns and young children in mind, Dolce Dinosaur has a soft velour body that is perfect for cuddling. As your child holds the Dino, they will look at it in a loving and caring way! The waterfall rattle in Dino’s tummy and ribbon neck help develop fine motor skills and hand-eye coordination. Pull the Dinosaur’s dragonfly friend and feel the gentle vibrations. 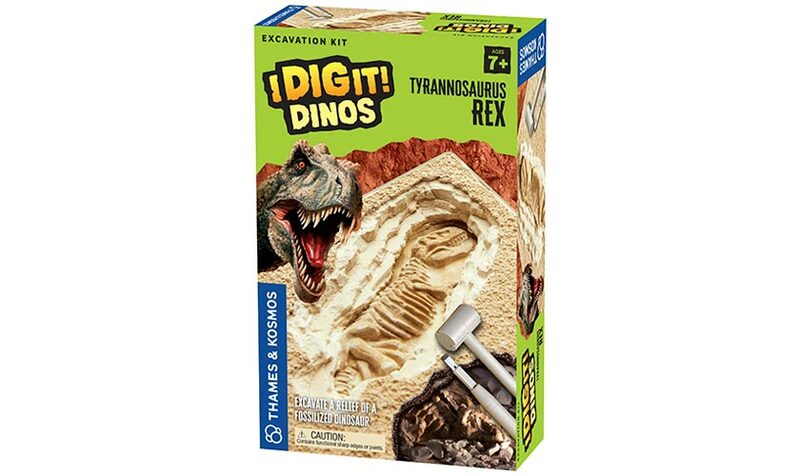 Kids will love using the hammer and chisel to go on a hunt for Tyrannosaurus Rex, the dangerous prehistoric giant. Excavate the skeleton relief from the surrounding soft plaster block. 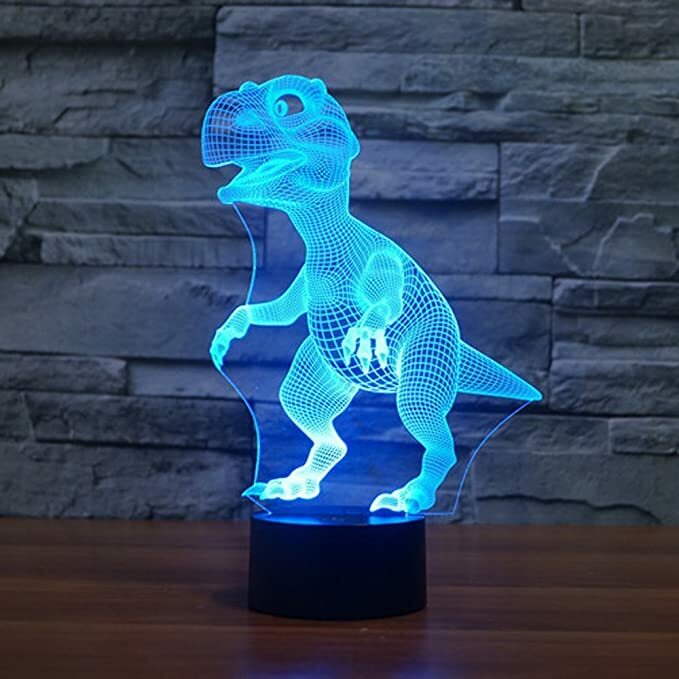 This fun lamp produces a 3D visual image in 7 colors. Kids will love it! 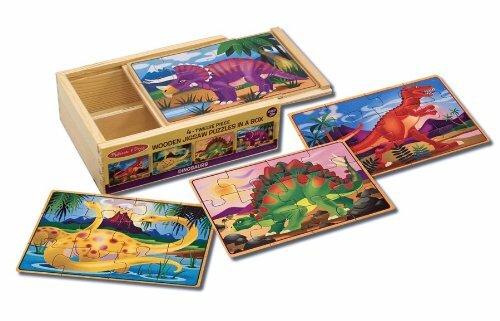 This Melissa & Dug set has four wooden dino puzzles that kids will love putting together. 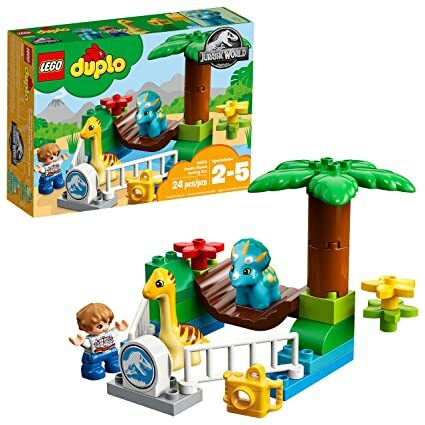 This LEGO DUPLO set features a Jurassic World fencing, a swinging bridge and a palm tree. It includes a Gray Mitchell LEGO DUPLO figure, plus 2 baby dinosaurs: a Triceratops and a Diplodocus! 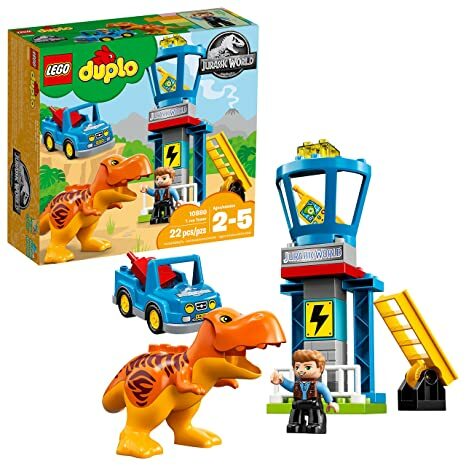 This LEGO DUPLO set includes an Owen Grady LEGO DUPLO figure, plus a T. rex figure with opening jaw. It features a car and a Jurassic World lookout tower that kids will love. 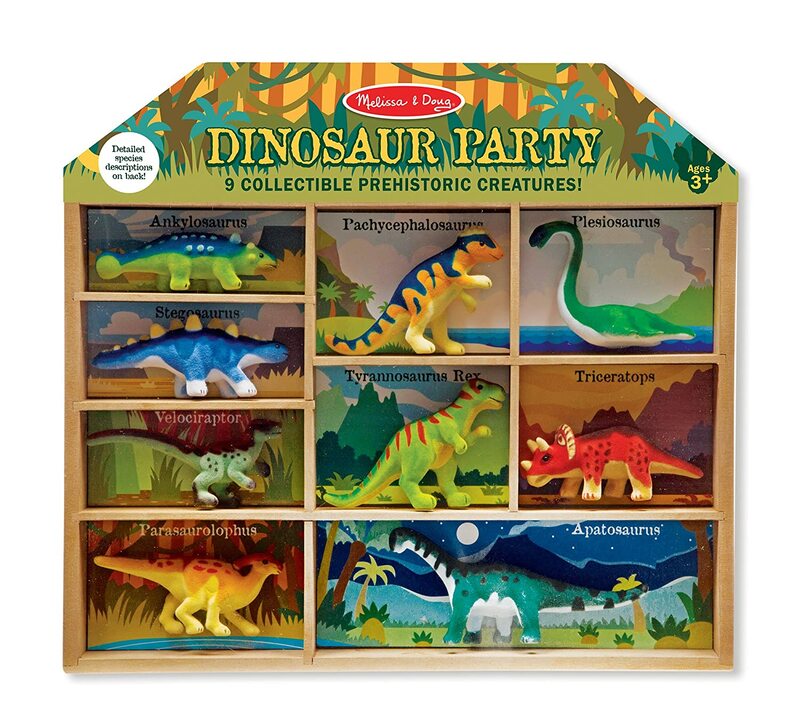 Dino loving kids will love having their own Parasaurolophus, Pachycephalosaurus, Velociraptor, Ankylosaurus, Apatosaurus, Tyrannosaurus Rex, Stegosaurus, Triceratops, and Plesiosaurus and wooden storage tray! 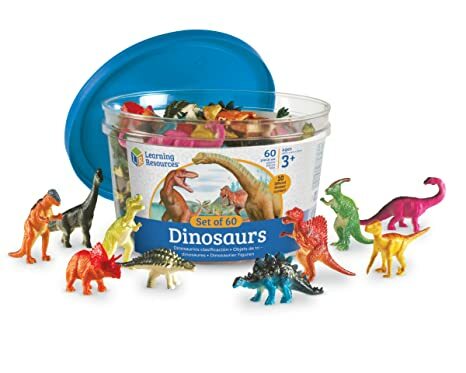 This fun set of dinosaur counters includes 6 of each: Tyrannosaurs Rex, Stegosaurus, Triceratops, Brachiosaurus, Parasaurolophus, Pachycephalosaurus, Spinosaurus, Struthiosaurus, Apatosaurus, Velociraptor. It is perfect for learning number and quantity relationships, sorting, counting, and more. It’s also perfect for sharing dinos with friends! What kid wouldn’t love to turn their bed into Dinosaur Island? 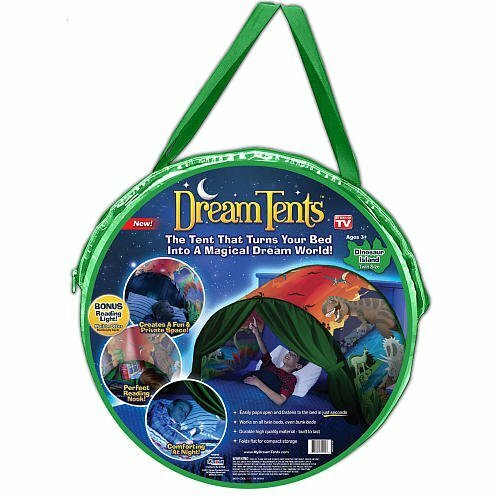 DreamTentsTM are easy to set up and easy to store. They instantly pop open and they fasten to the bed in just seconds. They work on all twin beds, even bunk beds! To store them, you just fold, and put away. It’s that simple! My kids love The Magic School Bus! 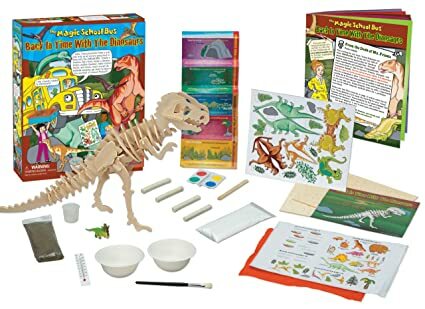 This Te Magic School Bus: Back in Time with the Dinosaurs kit includes everything Young Scientists need to create a timeline, design a diorama, build a wooden dinosaur replica, make cast and mold fossils, mold clay dinosaur teeth, simulate a dino dig, fold 3D dinosaurs, and much, much more! Seatbelts, everyone! Get ready to travel Back in Time with the Dinosaurs! 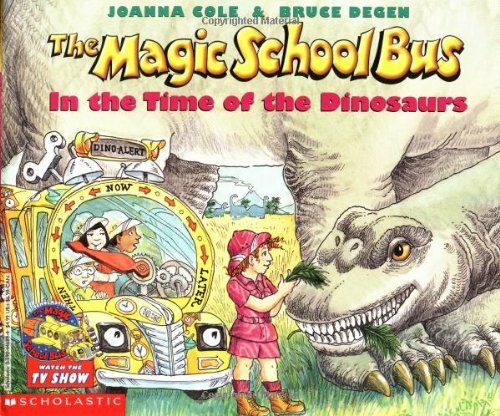 Of course, if you’re going to use the Back in Time with the Dinosaurs Kit, your kids are going to want to read The Magic School Bus in the Time of the Dinosaurs book! 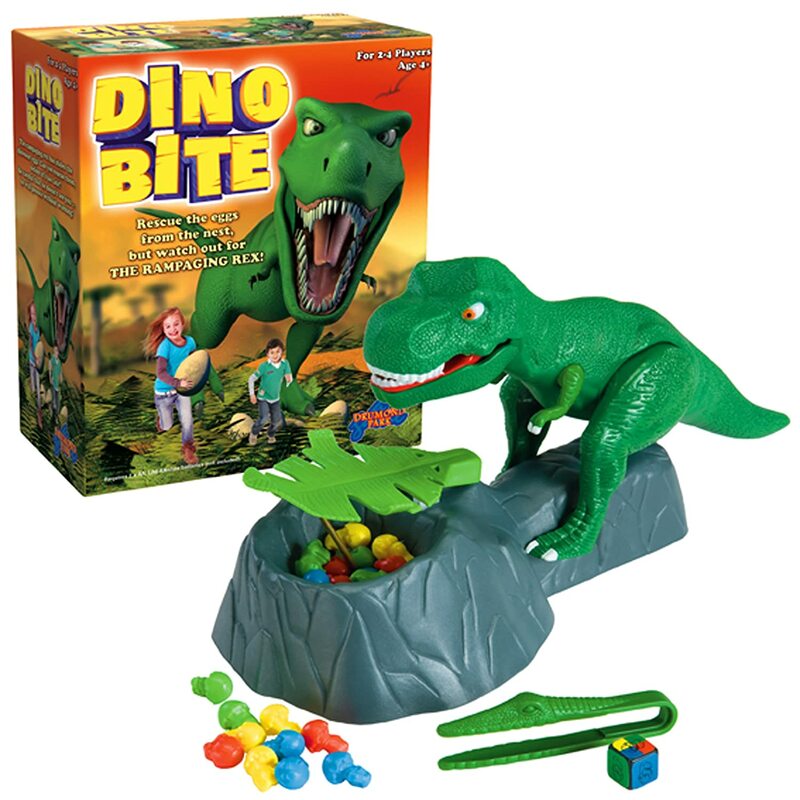 We love Goliath Games, and this Dino Meal — The Steal the Eggs Before the Dinosaur Lunges Game is perfect for the dino loving kid! The dinosaur friends are lost in the ferns and a volcano is about to blow. 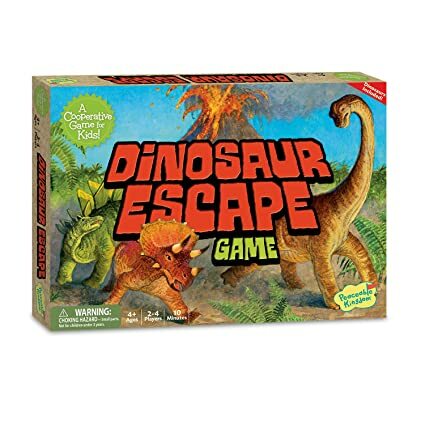 Can you help them escape to safety on dinosaur island? Memory, logic and luck will be your guide! 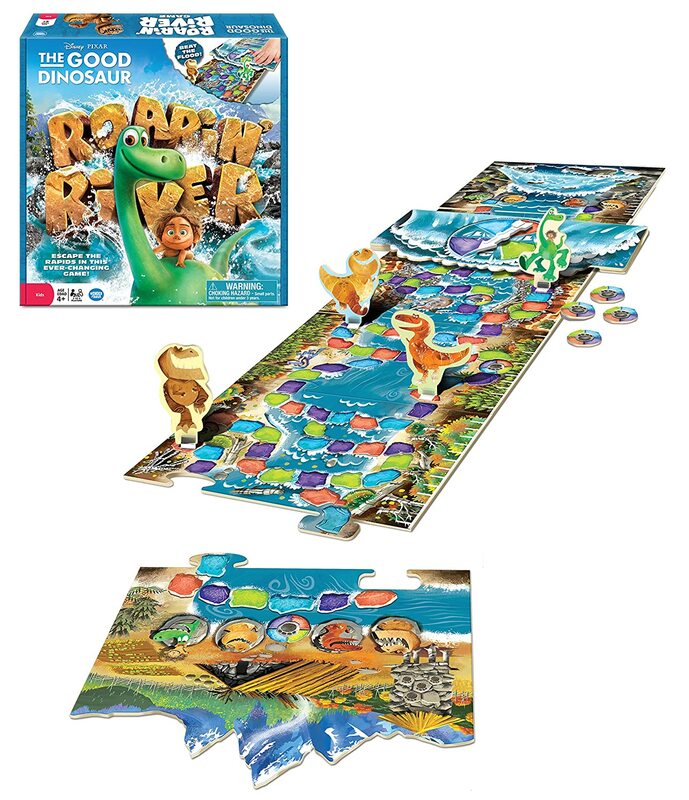 This is a fun game board that players build as they go; creating a different game experience each time they play! 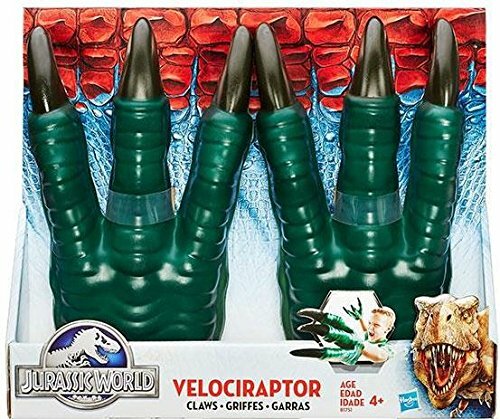 Let them explore their imagination as a dinosaur when they don velociraptor claws! 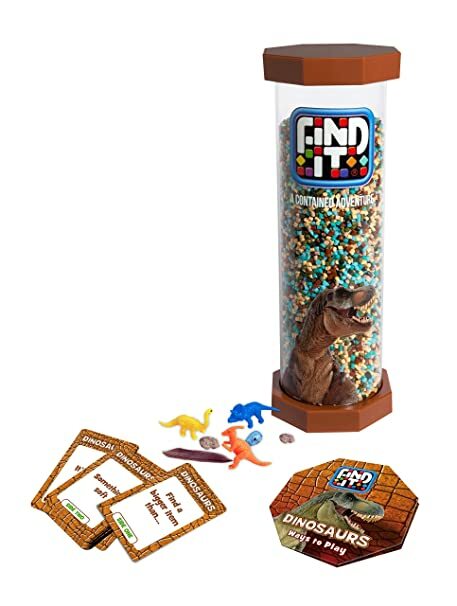 This fun Find It Game includes the Find it Dinosaur Game, 40+ playing cards and the ways to play sheet. Shake it up, and it’s a whole new game again.